No matter what time of year it is, my head-to-toe skincare game must remain on point. That’s because where I live (love you, Kansas City), it can go from 20 degrees to 60 degrees in a matter of 24 hours. As you may guess, finicky skin doesn’t like that. With those weather extremes, having skin-drenching products on-hand is a must. Here’s a few of my secrets — featuring NOW Solutions personal care products — for maximizing moisture no matter where you live. To keep your skin from drying out, it’s so important to keep your shower piping warm — NOT piping hot. Hard when it’s 20 degrees outside, not so much when it’s 60. On the mornings when I need to shave (you know, on those random 60-degree winter days where I can where a dress without tights), I turn the water off and lather up my legs with a moisturizing shaving cream. Currently on hand is NOW Solutions Nutri-Shave Natural Shave Cream, a thin yet oh-so-creamy formula that spreads well without providing too thick of a buffer between your skin and your razor. This is one of the first shaving creams I’ve ever used that contains hyaluronic acid, the moisture-binding ingredient that we covet in our facial care; what overachievers to include it in a shave cream! Using this natural shaving cream as your first step to overall hydration and moisture (combined with the natural exfoliation you get from shaving) sets your skin up for the ultimate touchable texture. No ashy, itchy legs here, please! A tradition of mine for the past decade, oiling up my body post-shower, while my skin is still damp, is non-negotiable. No matter how many times my boyfriend complains that I am getting little oil droplets onto his pristine bathroom floor (not true), he fails to complain about how soft and smooth my skin feels after performing this daily ritual. That’s because you can’t deny how amazing this ritual has been for my skin. As a self-proclaimed body oil addict, I have a stash of amazing oils that I cycle through depending on my mood. 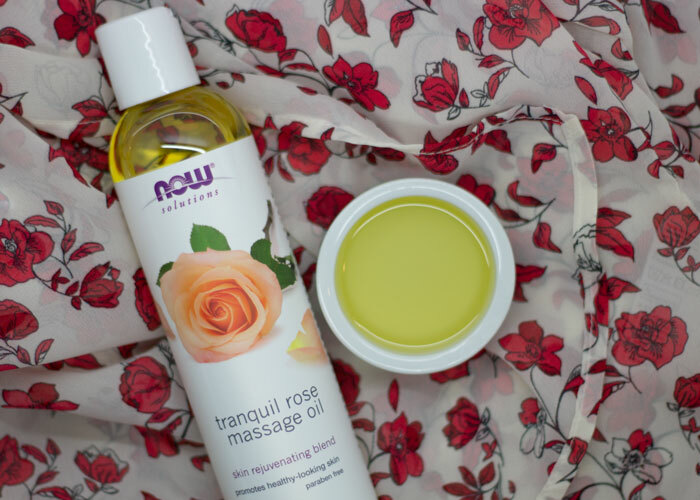 For evening showers, I like to apply NOW Solutions’ Tranquil Rose Massage Oil from head to toe, which helps lull me to sleep. Made with sweet almond oil, apricot kernel oil, grapeseed oil and jojoba oil, this multipurpose oil offers deep moisture without feeling oily or greasy. For nights where I’m lucky enough to coax a little back massage out of the beau, I keep this oil on my bedside table. Subtle hint, huh? While my body is covered in oil, my hands and feet get a little denser treatment — creams, lotions, butters, oh my! If my skin is severely dry, I use thick creams and butters. 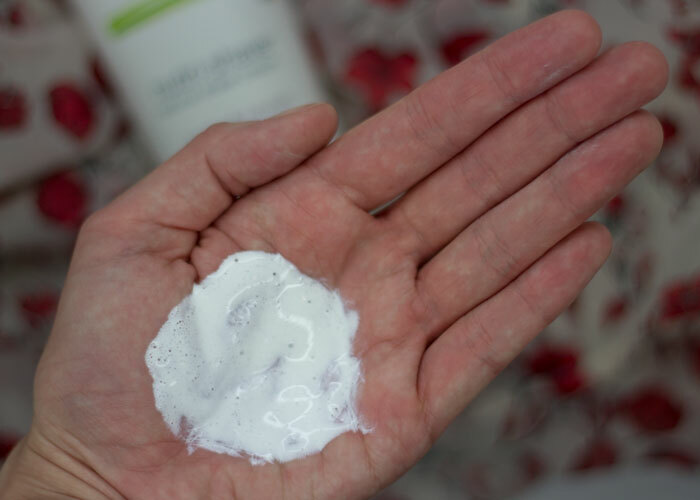 If I’ve been extra good about taking care of my hands and feet and just need a little boost, a medium-texture lotion is perfect. 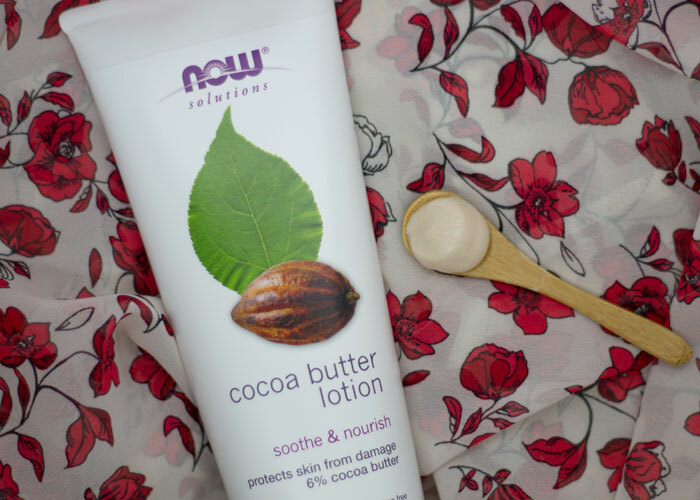 NOW Solutions Cocoa Butter Lotion, made with 6 percent cocoa butter, strikes the perfect balance between moisture and fast-drying goodness — without the questionable fillers found in many conventional cocoa butter lotions. It has a faint aroma of cocoa and vanilla and a texture worthy of placement on your office desk. You can easily use this as hand cream throughout the day without worry of smears and grease spots on your keyboard. Plus, it’s packaged in a sanitary plastic squeeze tube, making it easy to share with your ashy coworkers. If you prefer lotions over oils for your total-body moisture game, this lightweight lotion fits the bill (and, if you do decide to get into oils, can easily be layered under a light oil, like the massage oil mentioned earlier). How are you keeping your skin moisturized and itch-free this season? What are your favorite shaving creams, body oils and lotions? Tell me in the comments!